Italian cars seem to fall into two distinct categories, with fun but quirky Fiats and Alfa Romeos inhabiting one group and all-out exotics such as Lamborghinis and Ferraris comprising the other. In the competitive 1980s, though, at least one Italian carmaker attempted to straddle the line between mass production and handmade exotic. The carmaker was Maserati, and the company’s bread-and-butter model during the time was the Biturbo (pronounced Bee-turbo), the first truly mass-produced car from a manufacturer previously known for fast, expensive GT machines. More than twenty years after its U.S. introduction, the Biturbo remains a unique car, combining above-average performance and handling with the cachet of an Italian exotic. 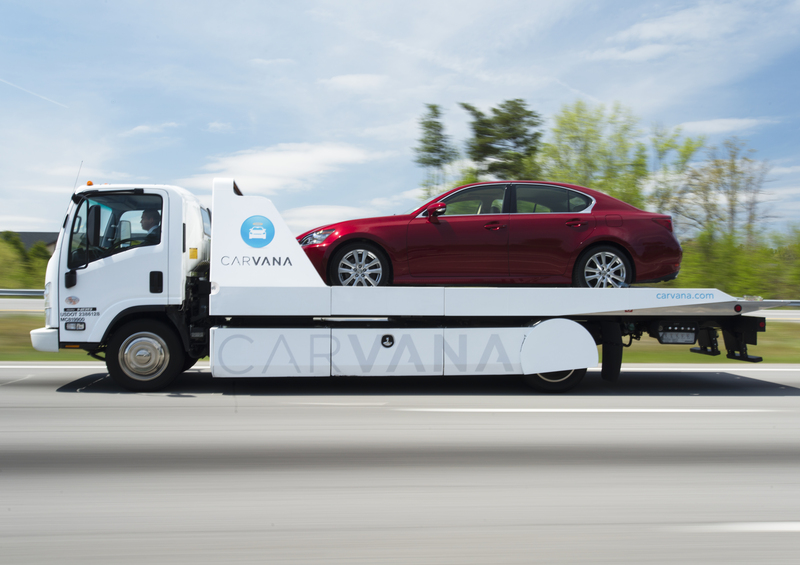 The car offers Ferrari-like design and performance at a price comparable to an old Corolla. A nice Biturbo has the potential to offer a lot of bang for the buck, and it is certainly hard to beat the Biturbo’s pedigree, performance and looks. In fact, the price-to-performance ratio of Biturbos on the current market makes it easy to overlook some of the car’s more glaring faults. And who can resist the allure of a car that features a large, elaborate Swiss clock in the center of the dash? While the Biturbo’s twin-turbocharged V6 shares no internal parts with its older siblings, the design is a carryover from Maserati’s Citroën days. As with the Merkur XR4Ti and Volvo 240 Turbo, the Maserati Biturbo’s development was a product of the turbo arms race of the late 1970s and early 1980s. Expensive gas (at least by 1980 standards) and tightening emissions regulations encouraged many manufacturers, including Maserati, to use turbochargers rather than engine displacement to meet performance goals without sacrificing economy. When itinerant financier Alejandro De Tomaso took over the ailing Maserati company in 1975, he saw the changes on the horizon. He understood that the carmaker’s large GTs were not well suited to the competitive global automotive market and shaky economy of the 1970s. He believed Maserati’s future was in turbos, small engines and mass production, three criteria that dictated the basic architecture of the Biturbo. Following the de Tomaso mandate, engineers at the company designed a dual-turbo system and a two-liter, Italian-tax-avoiding V6 to power the car. The basic engine was not particularly advanced; it was based on the powerplant designed for the Citroën SM, but the Biturbo’s blow-through carbureted induction system was completely new. The chassis was typical of 1970s European cars and adequate for the Biturbo’s intended performance. The front suspension featured MacPherson struts and manual steering, while the rear suspension used semi-trailing arms similar to the contemporary BMW and Ford Sierra designs, complete with unwanted toe change under acceleration. Brakes were solid discs at all four corners of the car. The completed “People’s Maserati” was introduced to the European market Dec. 14, 1981, and long waiting lists of eager buyers greeted the car’s launch. The new coupe’s styling was not particularly spectacular, but it had a clean three-box simplicity that echoed many contemporary designs such as the BMW 3 Series and the Volvo 240 and 740. It was also quite fast for the time, producing 180 horsepower from the new V6. Despite its general lack of sophistication, by most measures the car was a success. The same basic engine and chassis soldiered on for nearly 20 years, with periodic updates and numerous variants produced until the late 1990s. All Biturbo variants through 1986 featured a blow-through Weber carburetor housed in an enormous cast-aluminum plenum. Nothing better illustrates the tortured history of Maserati than the Biturbo engine: Its ancestors were conceived under the ownership of Citroën; it was developed and perfected during the de Tomaso period; and it was finally discontinued only after Ferrari acquired Maserati from Fiat in the 1990s. While the design does not share any parts with previous engines, the Biturbo powerplant represents the final, most improved variant of a line of V6s stretching back to the early 1970s. When then-owner Citroën needed a compact, powerful engine for its forthcoming SM coupe, the French company turned to Maserati because of its experience building high-performance engines. Citroën wanted a 2.7-liter, 90-degree V6 for the new car, and Maserati designer Giulio Alfieri obligingly penned a compact all-aluminum engine with wet iron sleeves and an intermediate shaft driving four overhead camshafts. This new C114-spec engine was first fueled by three 42mm twin-barrel Webers before surrendering to Bosch analog EFI. Citroën’s production demands quickly absorbed design costs, enabling Maserati to take advantage of the inexpensive V6 to power its new Merak. Alongside the Citroën engines of 2.7 and 3.0 liters displacement, the Merak V6 was produced in a 2.0-liter version for Italian tax reasons. The 2.0-liter version served as the platform for the Biturbo engine, which featured an improved timing arrangement and new SOHC heads with three valves per cylinder. In 1983, a bore increase to 91.6mm brought capacity up to 2.5 liters for export cars, such as those destined for North America. The post-1989 variant of the Biturbo V6 boasted an even larger 2.8-liter displacement and correspondingly higher power (225 horsepower). 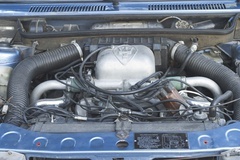 Later engines, such as the one installed in the Europe-only Ghibli Cup, featured four-valve, twin-cam heads and an astronomical 330 horsepower. The Zagato-bodied Spyder convertible arrived in 1986 with a shorter wheelbase than the Biturbo coupe, but was otherwise mechanically identical. A holdover from the days of handmade Maseratis was the fact that the Biturbo had changing specifications throughout the time the car was available in the U.S. Each year saw both major and minor changes, and keeping them straight can be a chore, because the different specifications do not always follow model year breaks. To make things worse, some cars were actually sold as a model year different from the one in which they were built, or with a mixture of features from separate years. Fitful imports contributed to an even more confusing mix of specifications. In the U.S., the car disappeared and reappeared several times during the 1980s. When the Biturbo finally reached the U.S. in 1984 as a Biturbo E (for export), the engine had grown to 2.5 liters and gained five horsepower, putting its peak at 185. The car kept the same manual steering and non-vented-disc brakes as the European model, while the engine remained non-intercooled. 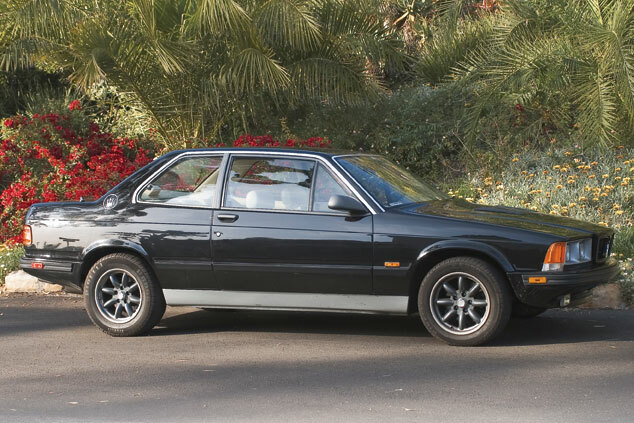 In 1985, the U.S. importer on the West Coast introduced a hotter version called the Biturbo S. It featured a stiffer suspension than the base car and larger tires. Under the hood, either air-to-air or air-to-liquid intercoolers could be found; a Liquid Intercooled badge on the trunk lid is an easy tipoff. Horsepower jumped by 11 to 196 (205 in European spec), and some of the car’s snap oversteer tendencies were tuned out by the new suspension. Many felt the S model was the way the Biturbo should have been from the beginning. The “regular” Biturbo that year gained available power steering and an automatic transmission option. 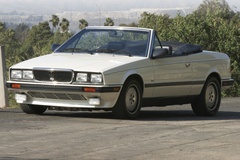 No Biturbo coupes were imported in 1986, but Maserati introduced a four-door sedan and a Zagato-bodied convertible based on the car. Both the convertible, called the Spyder, and the four-door Quattroporte were mechanically identical to the coupe, with a stretched wheelbase for the four-door and a shortened wheelbase for the Spyder. The same year saw the introduction of water-cooled IHI turbochargers, which greatly improved reliability compared to the oil-cooled units. Fuel injection finally arrived for 1987, with most cars now equipped with a Weber-Marelli EFI system. The coupe returned as well, and air-to-air intercoolers made another appearance, this time on all three Maserati models. The Biturbo disappeared from the U.S. market during 1988, as Maserati made a number of significant improvements to be unveiled for 1989. The engine jumped in capacity again, this time to 2.8 liters, with horsepower reaching 225. Vented brakes finally replaced the solid discs, and five-lug hubs and new names for the closed-top Biturbos also appeared. The slightly restyled and updated two-door was now called the 228; the Spyder became the 2.8i; and the Quattroporte became the 430. Many of the quirks of the early cars were also gone by this point. Unfortunately only a very small number of these cars were imported. The car was essentially unchanged for 1990, the final year for the four-door and coupe. The Spyder soldiered on for one more model year, until increasingly strict emissions and safety regulations spelled the end of the Biturbo in the U.S.
Sources differ on the number of Biturbos imported during the five years they were available in the U.S. The early cars (before 1988) probably number no more than about 5000, while the final years of the 228, 430 and Spyder are much rarer, with fewer than 200 imported. After its departure from the U.S. market, the Biturbo chassis continued to provide Maserati with the foundation for most of its overseas models well into the 1990s. The awesome limited-production Karif was basically a 285-horsepower Biturbo coupe on the shorter Spyder chassis. The twin-turbo V8-powered Shamal was clearly Biturbo-based and so was the 330-horsepower, 2-liter V6 Ghibli Cup, perhaps the ultimate development of the Biturbo design. Interestingly enough, the Biturbo saw almost no racing action. 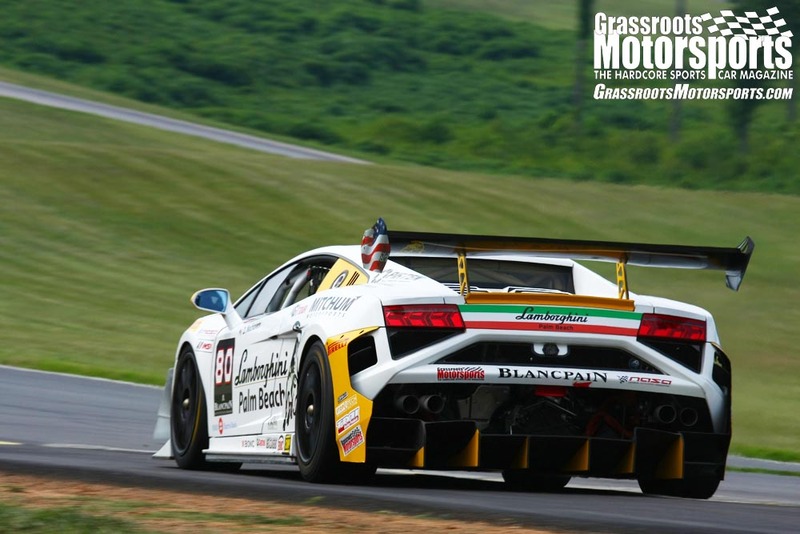 De Tomaso had strong opinions on the subject, and he did not allow the company to participate in motorsports during his tenure. In the early 1990s, a team did use a Biturbo to contest the European Touring Car Championship, but the cars were not a stellar success, and the program did not continue. A few people still use Biturbos for performance driving events and track days, but they are uncommon. Both inside and out, a Biturbo can offer good driving fun so long as it’s well maintained. Be sure to check the interior for wear, as the early cars’ upholstery materials are less than stellar. Although there were not a large number of Biturbos imported to the U.S., there are many still available, and they turn up fairly often. They aren’t hard to find, but good ones are few and far between. Part of the problem is the car’s poor resale value: Through the years, many people bought Biturbos who could not afford the expensive maintenance the car requires. Biturbos have many positive traits, but they do not respond to neglect and rough treatment. As with any used car, it is always smart to buy the best one possible, and for the Biturbo this goes double. The cars are so inexpensive and the parts are so expensive that it simply does not make economic sense to resuscitate a poor one. Southwestern cars are probably the best bet because of the rust issue, and they turn up fairly often on eBay. Maserati’s continual improvements to the car made the later derivatives much more reliable and well sorted. The best are the final 228 coupe and Spyder 2.8i models, which eliminated many of the early weak spots. While rarer and less sporty looking, the four-door cars can also be very good buys, since the Quattroporte did not suffer many of the issues that plagued the early coupes. “They were actually well-sorted cars,” Magnon explains. “The interiors used real leather, real suede and real wood. The electrical gremlins were gone. The turbos were water-cooled, and the engine had intercoolers.” Unfortunately, Maserati pulled out of the U.S. market before its reputation could be salvaged, and only a handful of these later cars officially came into the country. As with any oddball car, it can’t hurt to have an impartial set of eyes look at a prospective acquisition. It might be hard to find a local Biturbo expert, but the active Yahoo! 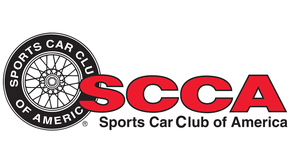 e-mail list and a local chapter of The Maserati Club International would be good places to visit. It will probably be a long time before the early coupes are worth much money, but the later Spyder and 228 have held their value much better. An exceptionally nice, well-maintained late Spyder—1989 to 1991 vintage—with good records can fetch $12,000 to $15,000, while a nice 228 can get $10,000 from the right buyer. Compare that with the value of early coupes and Quattroportes, which top out well south of $6000. 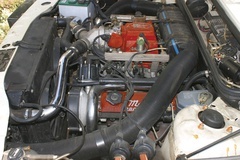 The odd blow-through induction system of the early Biturbos gave way to fuel injection in 1987. The later cars are easily recognizable by their Biturbo i” emblems, and have improved manners. The Biturbo’s engine has a few quirks that potential owners should note. Like everything else on the car, these quirks are exacerbated by poor maintenance. Biturbos are Italian, after all, and have their share of oil leaks. The pressure sender, turbocharger oil lines and cam covers are all common culprits when it comes to leaks. Fortunately, they are easy to repair, although the cam covers are time-consuming to remove and replace. Watch out for leaks caused by oil pan damage; the lowest point of the car happens to be the fragile cast-aluminum pan that is easily damaged by speed bumps and road hazards. According to Magnon, the early Biturbos had weak cooling systems, and the engines do not tolerate overheating. “In hot climates, the cars can have some cooling issues,” he says. Poor cooling is exacerbated by marginal radiators and electrical gremlins that may cut off the fans. Much of the problem stems from a leak-prone aluminum and plastic radiator design shared with many other 1980s cars. Fortunately, a later all-metal radiator can be retrofitted. The heads are no more prone to warping than any other all-aluminum engine, but beware of a car with a blown head gasket, as it may signal other problems related to overheating. As long as corrosion-inhibiting coolant is kept in the cooling system, the aluminum engine block presents few problems. If pure water is used, however, the block may corrode and allow coolant to leak past the cylinder sleeves into the crankcase. High mileage engines may also have trouble with hardened and leaky O-rings at the bottoms of the sleeves, so any car should be checked carefully for evidence of coolant in the oil or vice-versa. The engine has mechanical lifters, and the valves should be adjusted every 20,000 miles or so. Timing belts should be replaced nearly as often, especially if the car has been sitting for any length of time. The Biturbo is named for its two turbochargers, and the cars came with two different types. The early IHI turbochargers did not have water-cooled bearings and do not last as long as the later IHI turbos with water-cooled center sections. Either type should be checked for tight bearings and oil leaks—blue smoke under boost is a sure sign of turbo trouble. When dealing with the oil-cooled turbos, shutting off the engine without allowing the turbos to spin down is a sure recipe for failure. Cars that have been treated this way will need new turbos every 30,000 miles, but well-treated engines can go 100,000 miles or more before needing new units. Synthetic oil is almost a requirement for long turbo life, and would indicate a careful owner. The later Biturbos’ complicated electromechanical boost control can cause trouble, too, so check that the engine can make and hold full boost. As with other turbo cars, the high underhood temperatures spell death for rubber parts such as fuel lines and coolant hoses. Check these items carefully and replace them as soon as they show signs of hardening or cracking. The blow-through pressurized Weber carburetors reside under a large plenum and are subject to the same deterioration issues as any carburetor. Accelerator pumps, in particular, are prone to splitting and causing poor running, stumbling and leaks. The ZF manual transmission is sturdy and reliable, but the BorgWarner automatic is not known for its longevity. Inspect the transmission as you would any automatic, feeling for harsh shifts or slipping clutches. Make sure to check the fluid for a burnt smell. The Biturbo came with several different types of limited-slip differentials, and the earliest Salisbury units are the most fragile. The differential bearings and ring gear are marginal for the car’s power, so proper maintenance and fresh fluid is a must. Listen closely for differential noise and be prepared to spend a lot of money if it howls. The rear suspension is similar to contemporary designs and is fairly reliable, although it can be unpredictable when driven hard. The Biturbo’s front suspension design is simple and durable and presents no particular problems except normal wear. Tie-rod ends and steering-rack seals are high-wear parts and should be checked. On the other hand, the dated semi-trailing arm rear suspension exhibits significant toe change under acceleration and gives the car—particularly the short-wheelbase Spyder— “interesting” handling at the limit. 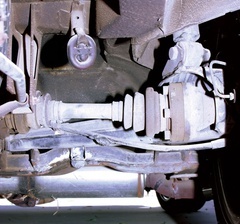 Damage to the rear suspension and subframe are therefore somewhat common, but repairable. Check the rear suspension mounts and control arms for damage and repairs. Front and rear brakes on the early cars are not vented, so warped discs may be a problem. Otherwise the brakes are straightforward. Italian cars are infamous for the poor quality of their wiring, and the Biturbo is no exception. Luckily the car has a simple electrical system, and most problems are related to grounds, relays and connectors. As with everything else, the later cars are better in this area, and suffer fewer electrical problems. The weakest part of the stock electrical system is the fuse block. Corrosion at this point can wreak havoc with the whole car. Luckily, the fuse block is easily available, and at approximately $75, it’s not particularly expensive. “The fuse box can sometimes cut out, leaving the car inoperable, with only half the electrics, or less, coming to life,” Magnon says. So you’ve been warned: The fuse block is an important item to check before buying. And finally, unreliable Marelli-manufactured relays can be replaced with VW-standard Bosch parts. Little touches, such as the large Swiss clock mounted in the dash, add up to set the Biturbo apart from other mass-produced sedans and coupes of its era. The Biturbo exhibits a trait common to other Italian cars: It has a propensity to rust if neglected. “The Biturbos, if left out to survive in the elements, can rust, though perhaps not as bad as cars of the ’50s and ’60s,” Magnon explains. A car that has been stored outside will most likely have corrosion in the bottoms of the doors, in the cowl area and in the sills. Incidentally, the 228 and earlier Biturbo/Spyder do not share any body panels, despite their similar appearance. Watch out for cracked or damaged windshields; a new one can cost more than $1000, assuming one can be found. 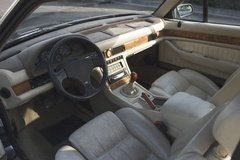 The elaborate Swiss clock in the center of the dash is a magnet for thieves and can be expensive to replace and repair, according to current owners, while the early cars’ interiors featured a mix of cheap and expensive fabrics that may not wear well. The Biturbo’s seating surfaces were leather, but the side bolsters and dash covering featured vinyl and Alcantar fabric in place of leather and suede. The early cars’ “wood” trim was actually printed plastic veneer, which along with the light-colored vinyl can turn green if the car is parked in the sun. 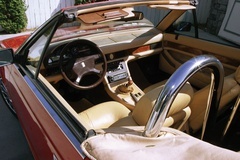 The interior improved during the life of the car, and the last 228 coupes and 2.8i Spyders have (real) long-lasting wood veneer and all-leather seats. Luckily, all of the Biturbo’s issues were addressed throughout the years, and many cars have been upgraded to the latest parts for durability and performance. The later Sensitork and Ranger limited-slip differentials are more durable and more progressive than the early Salisbury unit, and the whole pumpkin can be swapped over if necessary. The 2.8-liter engine from the 228 and European models swaps straight into the Biturbo, as do the air-to-air intercoolers found on the 228 and Spyder 2.8i. The ultimate engine swap is the European-specification 2.8-liter four-cam engine, but it would have to be sourced from outside the country. 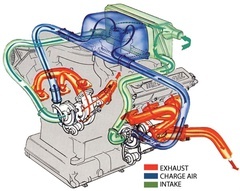 For more power, boost can be increased slightly on intercooled engines, but there is not a lot of room for improvement. The catalytic converter steals between 10 and 20 horsepower, and many people remove it despite the legal ramifications. Other power upgrades include remapped injection chips, ported heads and larger turbos, but the Biturbo engine is largely uncharted territory when it comes to DIY performance. Early cars can be updated with the vented disc brakes and five-lug, 15-inch wheels found on the last models. If you’re parts shopping, look for later 228s and the Biturbo S model, since they feature improved suspension parts, including springs and anti-roll bars. Some aftermarket parts are available, such as a guard for the fragile oil pan and larger anti-roll bars and stiffer springs. MIE carries a suspension kit that includes Bilstein dampers and lowering springs that can help tame some of the chassis’ bad habits. The Biturbo’s wheel wells are spacious enough to swallow much larger tires, although the uncommon offset (7mm positive) and bolt pattern (four bolts on a 98mm circle) make wheel choices limited. Some owners have redrilled the hubs to a 100mm bolt circle for a wider wheel selection, but the offset remains an issue. There are a few sources of parts, including MIE and Maserati, although they can be painfully expensive. The hardest parts to find are trim and interior items, including the clock, as well as exterior emblems. Secondhand parts are sometimes the only option, and a parts car or two is almost a requirement for Biturbo ownership. According to Magnon, used parts are plentiful and cheap on eBay. A long production history in Europe ensures a good supply of standard replacement parts through Italian sources, and many items such as turbos and bearings can be found locally. The old adage “buy the best one you can afford” applies more to the Biturbo than perhaps any enthusiast car on the market. The right Biturbo can be an amazing car, one with power and a unique, handcrafted style. A bad one can be a deep money pit. Luckily, the good ones are still out there, and they are not hard to find. Watch for the common issues and find an expert to help you inspect the cars you come across. If you find yourself bitten by the Biturbo bug, take the time to keep the car running well and you will not be disappointed. There are very few affordable cars that have the Biturbo’s Italian looks, heritage and performance. Want more cars from the '80s? Check out Best Cars of the 1980s. Join Free Join our community to easily find more Maserati articles.